Whew! Better late than never, right? Sorry about getting my menu plan up late this week. I had it posted bight and early Monday morning at Start Gluten Free, but after the weekend blew up, it never made it over to my blog… (oops!) Every time I think my schedule is loosening up, something else comes along to fill it back up. I must be a mom, huh? 😉 Any-hoo, let’s get to my menu plan, shall we? No matter how crazy a week can get, a menu plan always saves my sanity when it is time for dinner. 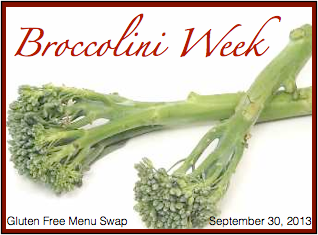 Heather at Celiac Family will be hosting the Gluten Free Menu Swap this week. The theme is “Broccolini.” I don’t use it as much as I’ld like, and when I do it is usually to replace broccoli or asparagus. 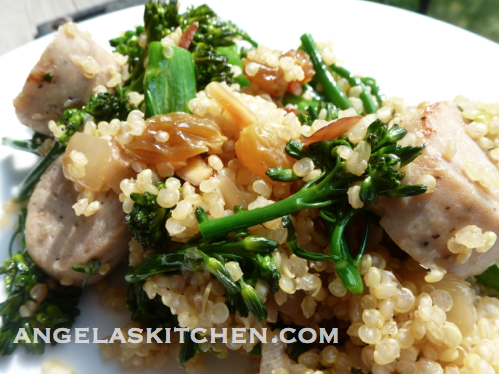 I do have one recipe developed with broccolini that is quick to cook up and that I really love, Chicken Sausage Broccolini Quinoa. Do you serve broccolini? 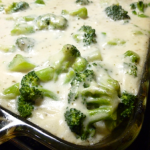 Freezer cooking plan for the week: Chicken Broccoli Casserole and Enchilada Meatballs will both be making their way into my freezer this week. 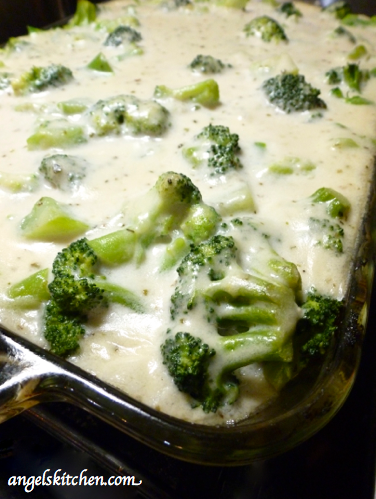 For the freezer: Make a double batch of Chicken Broccoli Casserole, one batch for dinner and one for the freezer. While one is baking for dinner, wrap the second, removing as much air as possible, seal, label and freeze. 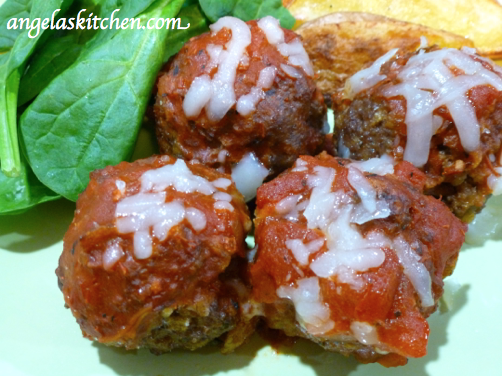 For the freezer: Make a double batch of Enchilada Meatballs, one batch for dinner and one for the freezer. While dinner is cooling, allow second batch to cool, wrap well, removing as much air as possible, label and freeze. Must be something in the stars. I've had a crazy couple weeks, too! This week, I've got a sick kid to force me to slow down. Amazing how much smoother the evenings are without so many activities to worry about. Hope you have a great week!